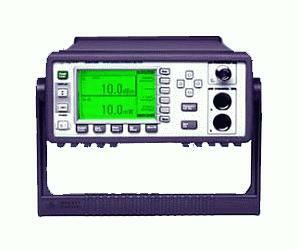 The Agilent E4419A is a low-cost, high-performance, dual-channel, programmable power meter. It is fully compatible with the 8480 series of power sensors and the E-series of power sensors (except the E9320A Family). Depending upon which sensor is used, the E4419A can measure from -70 dBm to +44 dBm at frequencies from 100 kHz to 110 GHz. Designed for bench and automatic test equipment use (ATE), the E4419A makes fast (up to 100 readings per second with E-series sensors), accurate and repeatable power measurements. The E4419A is a true dual-channel power meter, which means that you get two simultaneous power readings on the display.